This is a die-cut flange Union Automobile Club porcelain sign. This particular Union Automobile Club sign is black and white. 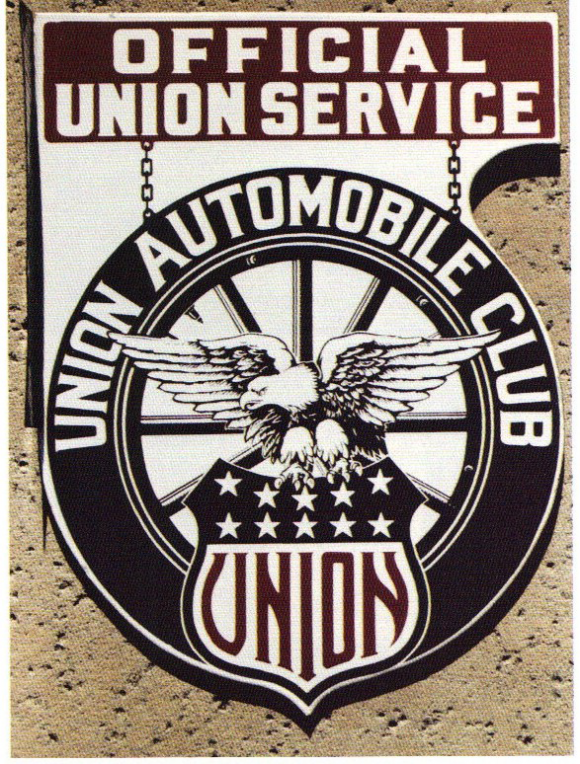 It reads, “Union Automobile Club, Union, Official Union Service” and features a black eagle holding a Union shield in front of a wheel in the center of the sign.